Sometimes users may have numerous of databases in their SQL Server. However, while working on database they may face a database integrity issue, as there can be integrity on several parts of a database i.e. Table, database, etc. In general, the integrity of SQL Server database task includes the complete checking allocation as well as structure of integrity of the entire object in the stated database. It contains various checking database indexes as discussed below. Firstly, check all the databases at high level periodically for the SQL Server database consistency errors. If there, is a large database then, check it table by table. Moreover, running all these on a set of schedule, it is important to run, as there are the chances of system failure, disk drive failures, etc. If the database is small then, it is easy to run all the checks across the whole database. In SQL Server 2000 and 2005, all the maintenance plans are the only way for performing DBCC CHECKDB that makes easy in checking the complete database. As it is already discussed above that, it is a part of normal database maintenance process. If the user is not running the checks for SQL Server database integrity or if they are not sure then, take a time for implementation of all these procedures. DBCC CHECKALLOC– Check the consistency of structures of disk space allocation, which are there for specified database. DBCC CHECKCATALOG– Check for consistency of catalog, which is therein specified database. DBCC CHECKDB– Check for consistency of catalog that is in specified database. DBCC CHECKTABLE– Check for the integrity of all pages as well as structures, which makes indexed and table view. DBCC CHECKDB command is widely used by almost all of the users as it checks the complete database. Whereas all the other options are useful for the quick spot-checking. All these options can be used for checking the consistency of particular portion of data and repairing any sort of corruption, which is found. Ad Hoc at the most basic level of all the commands can be executed interactively against a database. It is always suggested to run these commands during the off hours as these commands issue some problem while executing. Maintenance Plans as discussed above that SQL Server 2000 and 2005 both can set the maintenance plans for running DBCC CHECKDB command. This is the only way to have the base options of maintenance plans. Custom Jobs can be created on its own SQL Server Agent jobs for running the desired commands against the database. The most beneficial time to run these commands is during the low usage times. SQL Server Agent is the best way to schedule jobs during any time. If the hardware is stable then, there is not any issue for running these commands. If user is facing regular hardware problems then, it is the best way for running all these checks frequently. There are many installations where the plans of maintenance are setup and SQL Server database integrity check is run. The problem is that no one checks the output that results in the corruption issues. For this, users need to check for the output from the commands that make sure that there are no issues. This can be done by reporting option with maintenance plans and by checking SQL Server logs error. Every time, one DBCC command is run and an entry level is made in SQL Server error log. If there is corruption in the database then, users want to have the correct action for the elimination for these issues. This is done by utilizing the option with DBCC CHECKLOC, DBCC CHECKDB, and DBCC CHECKTABLE. If your database files is severely corrupted, then you can go for an automated solution to repair corrupted database files. SQL Repair Tool repair corrupted MDF/NDF file of SQL version 2017, 2016 & all its below versions. It also help you in recovering deleted database records. 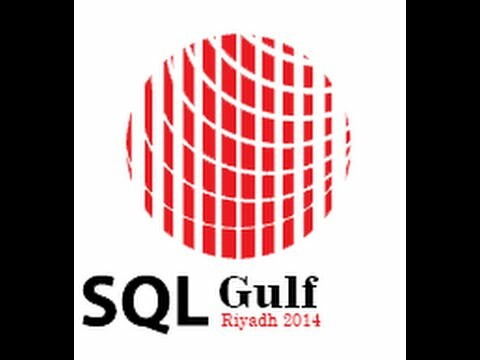 After understanding, the users issue that they face while checking for the SQL Server data integrity. In the above discussion, we have discussed the way for SQL Server database integrity check that makes easy for users in resolving this issue.